It’s Thanksgiving Day! Many of us are rejoicing, thankful for the break from school and work and excited for time with family. Some of us are exhausted from the travel it took to get where the family is gathering or are emotionally drained because the Holidays remind us of the loss of a loved one. Still others are dreading the time spent with extended family. The stress and tension of years of unresolved issues makes it so hard to endure the time together, anxiously waiting for the moment when we are back sleeping in our own beds. If you can relate to that last one, this post is especially for you. If it is not you, hopefully it will help you process through how you are creating an environment that your kids long to be a part of. Even though I am not to the point of having adult children yet, I can tell you this is something my wife and I are thinking about often. It is also something I can speak to from the experience of feeling welcome at my in-laws home while I don’t at my parents’ home. 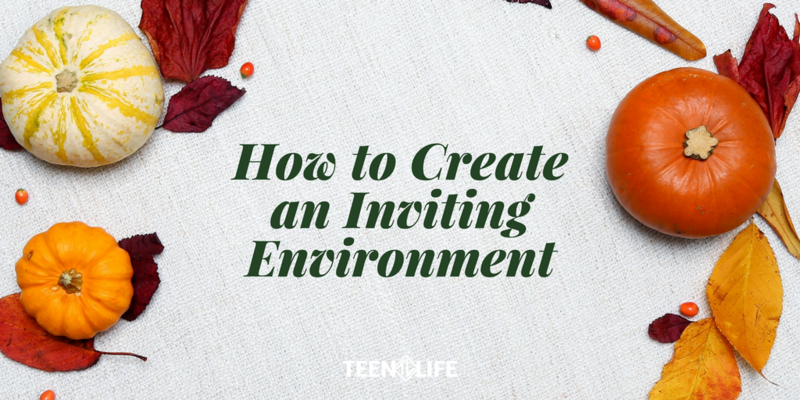 The core conversation here is about what environment you are creating that is so inviting that your teenager doesn’t want to go somewhere else during the Holidays. Isn’t that what we want to create for our kids so they will love being around when they are adults? This question came to mind the other day when I was being interviewed on a Dallas radio station and someone called in and asked what you can do when a teen chooses to rebel and gets pulled away by gangs or a negative community that we know will lead them to a place they do not want to go (such as drug users). What a tough question to address! But I believe there is an answer and it begins with us as the adults. So here are some ideas on how you can create the most engaging, exciting and safe place for your kids to be. Stop talking negatively about your family in front of your kids. For some of us this is hard. There is so much emotion attached to our parents or siblings that it is hard to filter, and it just comes out. Think about it this way. Since our kids are highly influenced by the behavior we model, are we teaching them to talk badly about us by doing that with other family members? I want to be very aware of the way I, instead, model respect for my family so they learn that, even when it is hard, it is still right to have respect and love for family. It’s exactly what I want them to do for me. It’s not the tradition that matters, it’s the consistency at each gathering that makes it meaningful. My wife is amazing, and one reason is because she leads our family in writing down something we are thankful for each day during the month of November. But the key is the flexibility she allows to make it possible. Some years we have taken the time to create a whole tree with “thankful leaves” on it, and other years we simply write them in her journal (even though we sometimes have to catch up after 3 or 4 days of not writing them down). The best part is our kids now remind us when we didn’t write them down and even get excited that November is coming so we will get to write our “thankfuls” down every day. Try not to make them do it. If you are forcing your kids participate, it may be the wrong activity for your family, or maybe they just need you to help them see why it is important. The important thing here is to remember it is a long-term effect you are wanting. So changing the activity to find the right one will be worth it once they are bought into it being a part of what it means to be in your family. Remember, they will talk about it the way you do. If you complain that the years they were growing up were crazy and hard and no one liked being around each other, that is how they will remember it, too. If, instead, we strive to point out the good things we remember and what we learned from the hard times, those will be the memories that rise to the top for all of us. I am reading The Hiding Place by Corrie Ten Boom, a Dutch Holocaust survivor. Re-reading her story reminds me of the horrific experiences she had to endure, and yet she was ultimately able to see the good that could come from it. In a similar way, we can teach our teenagers to do the same. I hope this Thanksgiving you will look for the ways you can begin to create an environment in your family, at home and around special events that your kids don’t want to miss out on. How have you seen this happen? What can you share with the rest of us about how to create these spaces? I look forward to hearing from you!